Chief Justice, Sophia A.B. 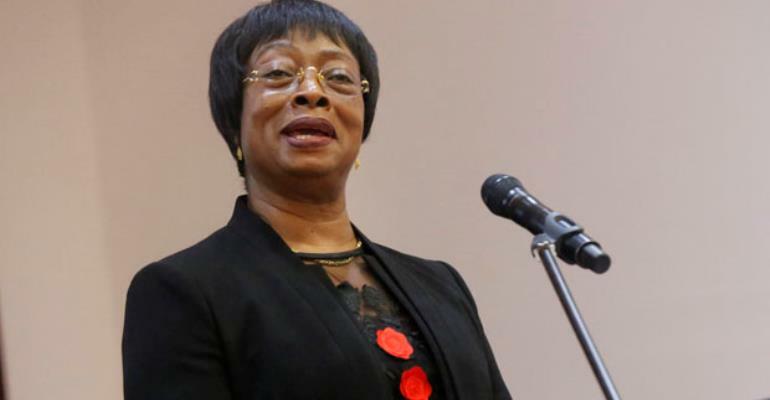 Akuffo, says the judiciary under her watch will not be subjected to 'improper influence' by the executive, legislature, as well as private or partisan interests. She, therefore, expressed her preparedness to take steps to ensure the independence of the judiciary at all times. Speaking at a mentorship programme organized for first and second cycle students in Kumasi in the Ashanti Region, the Chief Justice reiterated her commitment to improve quality and timeliness of justice delivery in the country. According to the Chief Justice, even though justice hurried is justice buried, the timeliness of justice delivery can be enhanced by the application of technology, hence the introduction of e-justice to expedite the adjudication of cases. She disclosed that sometimes judges are asked to come up with a completion plan for cases in order to address delay in justice delivery. Her Ladyship Akuffo admonished the female students not to be swayed into immoral acts by men who lure them with modern gadgets, particularly mobile phones, calling on them to be inquisitive. The Chief Justice also asked the students not to relent in their quest for knowledge, asserting that every day is learning day.